1. See if there is a REUSE purpose for your leftover paint either in your own home or at a local non-profit organization. If not, proceed with the following steps. 2. Take the lid off and fully dry out the left over paint. To speed up the process, you can add kitty litter, saw dust or another drying agent directly inside the can. If you have a large amount of latex paint, line a box with a garbage bag, spread kitty litter & wadded up newspaper inside the bag, pour the leftover paint over the materials. Leave until it is fully dried out. 3. Place dried out cans or box inside a garbage bag and dispose of with your residential trash. If the cans are visible, the haulers will leave them at your curbside. This is due to the haulers not having the time to ensure each and every can is dried out appropriately and they are taking preventative measures to eliminate spills on our roadways or causing damage to their equipment. * Oils based paints, stain and thinners are considered hazardous waste and can be disposed of at the District's collection events. How can I recycle/dispose of my electronics? 1. Two times a year the District hosts an electronic collection event in conjunction with their Household Hazardous Waste. All electronics are collected free of charge, with the exception of a fee for televisions. For additional information, please click the link below for District collection information. ﻿2. Goodwill of Central Indiana accepts all electronics with the exception of televisions. If the electronic is in working order, they will process and attempt to resell it. If the unit is in non-working order, please notify the attendant and it will immediately be placed in the recycling pile. Please contact your local store for accepted items and store hours. 3. Best Buy currently accepts electronics for recycling. Please contact your local store for accepted items and store hours. Additional information is also available on their website. 4. W Enterprises in Crawfordsville also accepts electronics for recycling. Please visit their website for additional details, fees do apply. How can I sign up for curbside recycling? 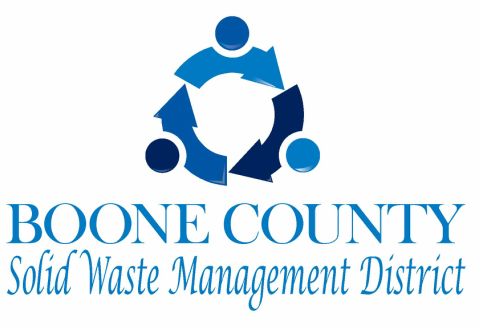 Click on link to our recycling page for current options.